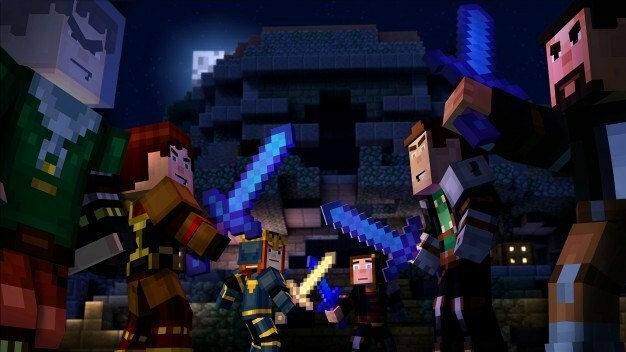 The adventures of Jesse and the New Order of the Stone continue on March 29th with the release of Minecraft: Story Mode Episode 5, “Order Up”. In addition to this announcement, developers Telltale Games and Mojang revealed that three-post season episodes are still to come that will carry on the adventures of the New Order. 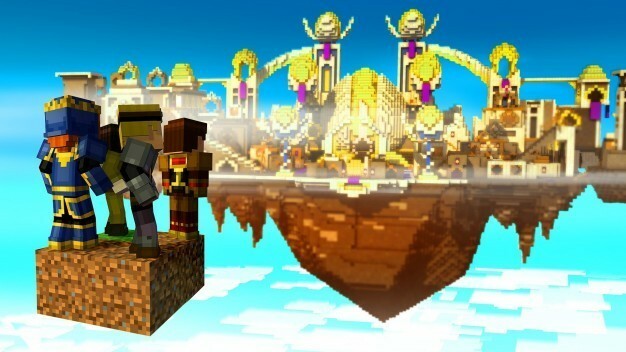 In “Order Up”, players will rejoin the New Order of the Stone as Jesse and friends resume their adventure following the Wither Storm finale of Episode 4. What begins as a treasure hunting expedition into an abandoned temple turns into geometric mayhem when the New Order winds up in Sky City. In this new world, the New Order will face decisions that weigh heavy on its reputation and the fates of the people of Sky City as a whole. With new worlds comes new talent joining the cast of “Order Up”, including Sean Astin (The Goonies, The Lord of the Rings), Jim Meskimen (Parks and Recreation), and Melissa Hutchison (The Walking Dead: A Telltale Games Series). Following “Order Up”, three post-season episodes will continue to join the New Order of the Stone to even more unique worlds and the unexpected adventures they hold. These episodes, which release in the next few months, will be available as add-ons, meaning that players must own at least Episode 1 of Minecraft: Story Mode to play them. To keep up with these coming episodes, Minecraft: Story Mode‘s official website offers everything a player could need.